Class structure within the criminal justice system helps determine the types of crimes individuals will commit. Explain why white-collar crime is less likely to be tracked in the U.S. In Marxist theory, the class structure of the capitalist mode of production is characterized by the conflict between two main classes. Bourgeoisie are the capitalists who own the means of production, while the much larger proletariat who must sell their own labor power. White-collar crime is a financially motivated, nonviolent crime committed for illegal monetary gain. Criminal justice is the system of practices and institutions of governments directed at upholding social control, deterring, and mitigating crime or sanctioning those who violate laws with criminal penalties and rehabilitation efforts. There are four jurisdictions for punishment: retribution, deterrence, rehabilitation, and societal protection. Marxist Theory: An economic and sociopolitical worldview and method of socioeconomic inquiry centered upon a materialist interpretation of history, a dialectical view of social change, and an analysis–critique of the development of capitalism. white-collar crime: A non-violent crime, generally for personal gain and often involving money. Of the classical founders of social science, conflict theory is most commonly associated with Karl Marx. Based on a dialectical materialist account of history, Marxism posited that capitalism, like previous socioeconomic systems, would inevitably produce internal tensions leading to its own destruction. Marx ushered in radical change, advocating proletarian revolution and freedom from the ruling classes. In Marxist theory, the class structure of the capitalist mode of production is characterized by the conflict between two main classes: the bourgeoisie, the capitalists who own the means of production, and the much larger proletariat who must sell their own labor power. Clifford Shaw and Henry D. McKay theorized that social disorganization was a root cause of deviancy and crime, especially for minority youth. They discussed the fact that inner city kids tended to be more involved in a criminal lifestyle than kids who lived in the suburbs. Being able to afford to live in better parts of the city (and thus having wealth) afforded certain kids better opportunities in terms of lifestyle and education, leading to less crime and criminal involvement. White-collar crime is a financially motivated, nonviolent crime committed for illegal monetary gain. Within the field of criminology, white-collar crime initially was defined by sociologist Edwin Sutherland in 1939 as “a crime committed by a person of respectability and high social status in the course of his occupation. ” A clear example of how deviance reflects power imbalances is in the reporting and tracking of crimes. Indeed, white-collar crimes are typically committed by individuals in higher social classes. That white-collar crimes are less likely to be tracked, less likely to be reported, less likely to be prosecuted, and are more likely to be committed by people in higher social classes suggests that the way crimes are punished in the United States tends to favor the affluent while punitively punishing the less affluent. Additionally, men benefit more from white-collar crime than do women, as they are more likely to attempt these crimes when they are in more powerful positions, allowing them to reap greater rewards. Within the criminal justice system, there are three basic elements that constitute it: the police, the courts, and punishment. The police maintain public order by enforcing the law. Police use personal discretion in deciding whether and how to handle a situation. Research suggests that police are more likely to make an arrest if the offense is serious, if bystanders are present, or if the suspect is of a visible minority. Courts rely on an adversarial process in which attorneys-one representing the defendant and one representing the crown-present their cases in the presence of a judge who monitors legal procedures. In practice, courts resolve most cases through a plea bargain. Though efficient, this method puts less-powerful people at a disadvantage. There are four jurisdictions for punishment: retribution, deterrence, rehabilitation, and societal protection. Community-bases corrections include probation and parole. These programs lower the cost of supervising people convicted of crimes and reduce prison overcrowding but have not been shown to reduce recidivism. 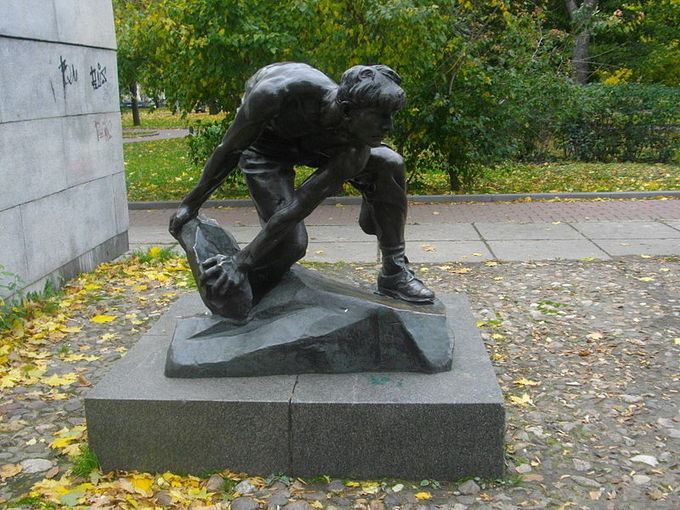 Stone as a Weapon of the Proletariat: In Marxist theory, the class structure of the capitalist mode of production is characterized by the conflict between two main classes: the bourgeoisie, the capitalists who own the means of production, and the much larger proletariat who must sell their own labor power.